Richard Faulkner’s chief goal when he purchased STEELFAB in 1988 was to build the necessary steel infrastructure that would give the Alaska Oil and Construction Industries the confidence to manufacture steel products within the isolated state. STEELFAB’s massive plant provided the capacity and reputation for quality control and has earned industry confidence to produce steel projects of all sizes. Richard knew his two decades of previous experience in the steel business, including the ownership of Faulkner Supply & Services, would serve him well. Like many people imbued with the entrepreneurial spirit, Richard takes great pride in the company and its many capabilities. Leading the largest locally owned Steel Service Center and Fabricator in Alaska gives them great satisfaction and he realizes that the company plays an important role in the state’s economy. Richard came to Alaska as an U.S. Army helicopter pilot, by way of Korea. He still holds a commercial pilot’s certification and earned a Bachelor of Science Degree in Economics from Alaska Methodist University (now Alaska Pacific University). Richard also studied at Arkansas State University and University of Maryland and is a graduate of the U.S. Army Flight School. The hand that sets the steady fiscal course at STEELFAB belongs to Janet Faulkner. Janet is co-owner of the corporation that she helped rebuild into the leading Steel Service Center and Fabricator in Alaska. She has broad-based experience in finances. Before purchasing STEELFAB in 1988, Janet worked as an accounting manager and bank officer at National Bank of Alaska (NBA) in Anchorage. This track record in Alaska’s economy gives Janet an edge when evaluating financial elements of the operation. Janet knows that outstanding customer service is as equally important as providing a top product in today’s market. 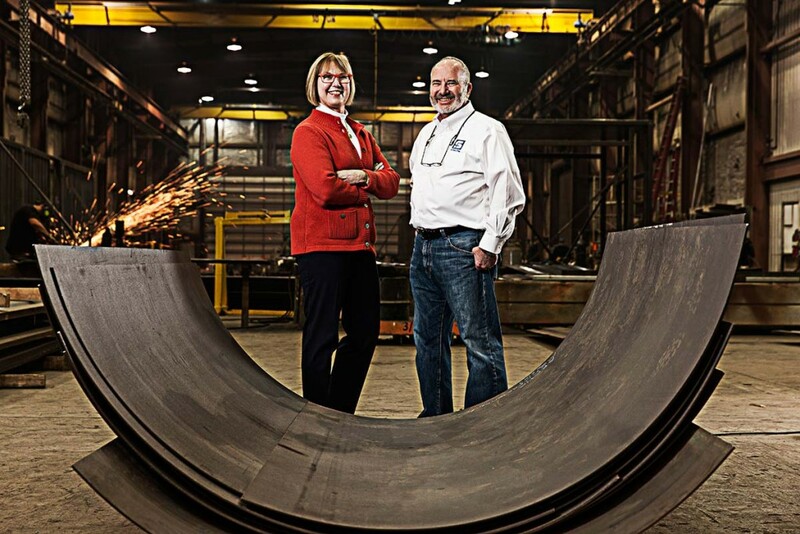 She foresees steady growth as customers continue to discover that steel fabrication previously done outside the state can now be produced at STEELFAB. Janet earned a Bachelor in Business Administration with an emphasis in accounting from the University of Alaska Anchorage. She also attended Arkansas State University.